June 12, 2015 By Liz 21 Comments Note: This post may contain affiliate links. After a failed attempt at quinoa cookies and many attempts at a protein cookie that doesn’t taste like you’re eating styrofoam, I’ve finally done it. I should have figured it out earlier since it’s really just a modified version of these breakfast cookies. But hey, sometimes the obvious things take awhile to notice. So let’s not wait any longer! Let’s get to the cookies. 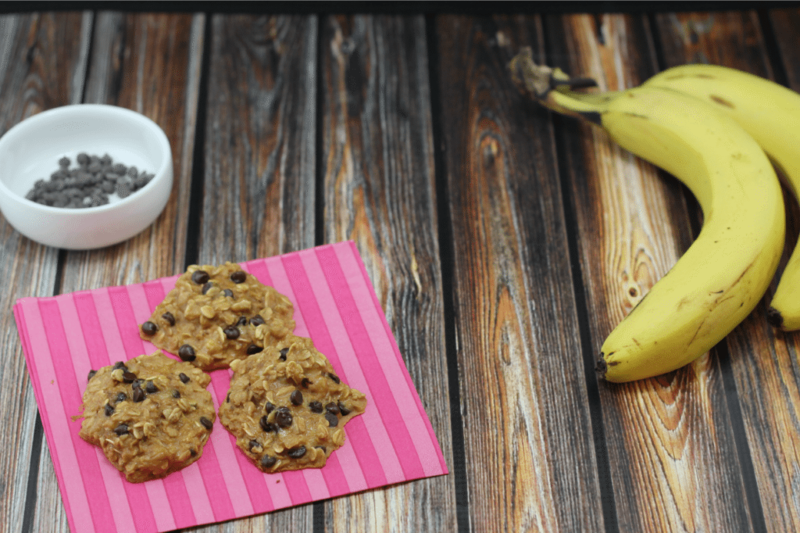 Did I mention that these protein cookies are vegan and gluten free? Yeah. 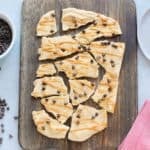 To keep these vegan, use dairy free chocolate chips. Mine were the Enjoy Life brand which are dairy free. To keep these gluten free, use gluten free oats. Mine were Bob’s Red Mill which are gluten free. In a small bowl, mash the banana until it’s just slightly lumpy. Stir in the oats and the protein powder. I recommend vanilla but if you use plain, just add a few drops of vanilla. Spray a cookie sheet with non-stick spray and drop the cookies onto the sheet with a large spoon. It should make 5 cookies. With the protein powder I used, mine had about 80 calories per cookie. Here are the full stats. Not bad for something that tastes like dessert! 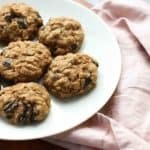 These have the ooey gooey texture of a banana based breakfast cookie (if you’ve never had one of those then you seriously need to try this recipe) so just a warning that this isn’t a crumbly type of cookie. 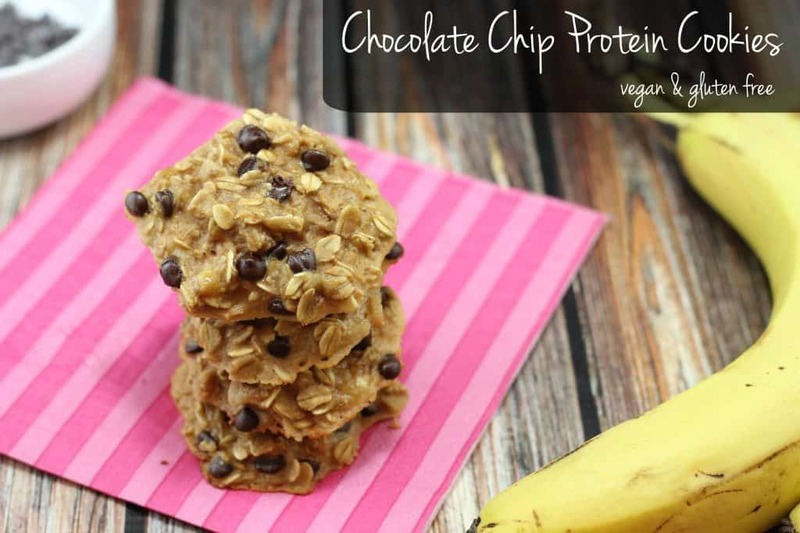 Still, the chocolate chips make this feel like a sweet treat yet the protein powder means your stomach won’t be growling again in 10 minutes. I’ve been packing these as a quick snack to tide be over between breakfast and lunch. It means my stomach isn’t totally growling by 11:00am! Does anyone else seem to get hungry long before lunch time? I’m sure the rest of these will disappear over the weekend so I might have to make a second batch on Sunday. I’m excited for a packed weekend ahead! Do you usually have a morning snack? I feel like I always have to have a morning snack to keep me going and fueled. I wake up pretty early to begin with so eating breakfast at 6, I’m not going to last until lunch time. These look great! These cookies sound delicious! I would try it with instead of vanilla with hemp protein. I love the way that u only need 4 ingredients to make it, great recipe! I have to try these! I bet my kids would like them too! We make these all the time! I have tried other recipe creations–but these NEVER fail and are always loved by the whole family. Typically I would rather just have a “morning snack” and no breakfast…and one like this sounds simple and super yummy! Will have to try these soon! I usually don’t need a mid-morning snack, but a mid-afternoon one is always a must! I usually eat a pre-run snack, then a large-ish breakfast after, and sometimes a snack before lunch too – these look perfect for any of those! I sometimes eat a morning snack, but usually always have one in the afternoon. Love that these cookies have protein! These sound so perfect and I love that there is only four ingredients! These look amazing! So delicious and healthy!! Gotta love that these are vegan!! So simple, yet so delicious…my kind of snack 🙂 I feel like I”m always snacking…lately it’s been hummus and tortilla chips. 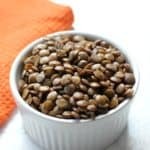 I love how simple this recipe is and I especially love that there’s no added sugar! Love, love, love!